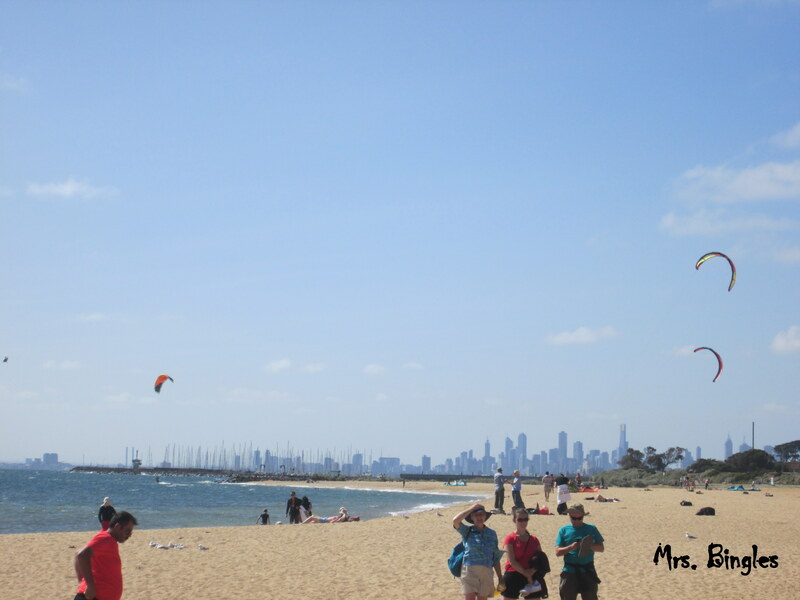 Brighton beach is another beautiful beach in Melbourne, this one too has been classified in the top 10. 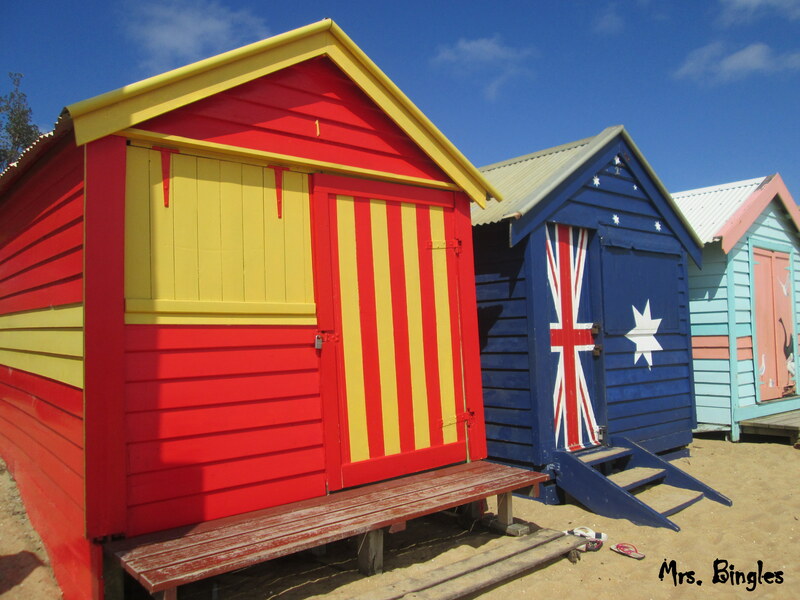 I loved its iconic bathing huts on the beach, each one colourful painted. 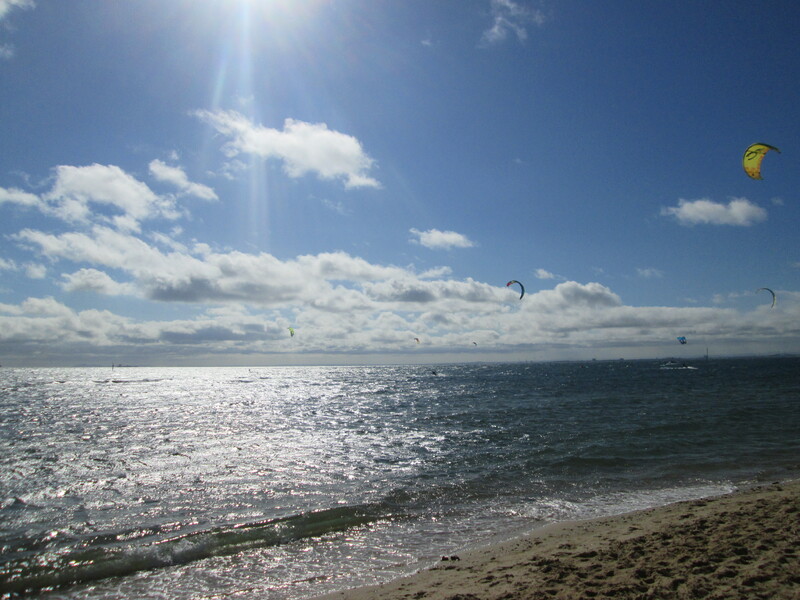 The sky was blue and it was very windy, so perfect for kite surfing! All these kite surfers made me want to try it! It looks so exciting!!! Go on, try kite surfing! Those bathing huts are really interesting, aren’t they? 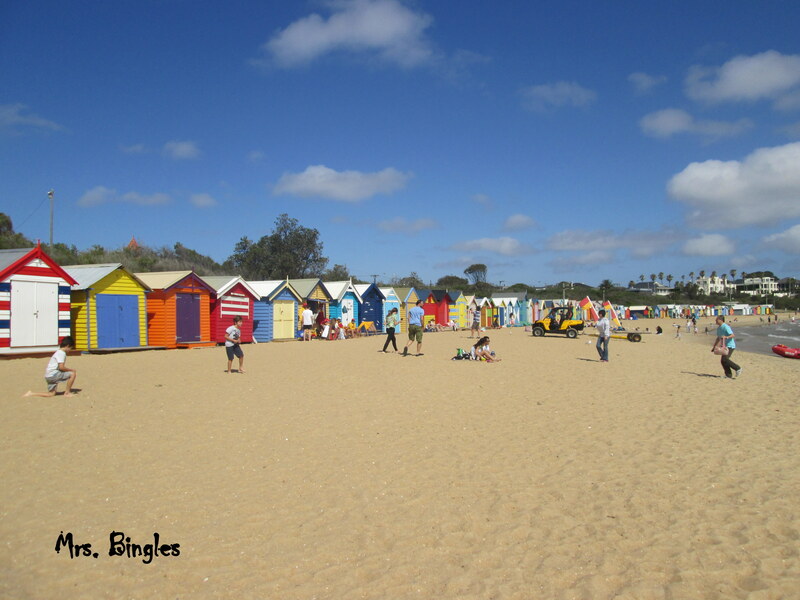 For sure I love those bathing huts; kite surfing…?mmmm, very tempting!